Traditional knowledge when buying coffee has been to make sure you are buying “100% Arabica beans”. We are told that Arabica is the good stuff and Robusta is the bad stuff. As usual things are not quite that simple, but this is a good rule to follow if you could ever find a coffee labeled as containing robusta. Most all of the coffee I have come across at major retailers has been labeled as 100% arabica (65% of the world’s coffee production is arabica anyway), so it has become rather commonplace. Since arabica has become a bit of a standard, perhaps it is time to look a little deeper into the distinctions within the category of “100% arabica”. Arabica, just like robusta, is a species of the coffee plant and it is considered to have better aromas and acidity than robusta. As we have delved deeper into a specialized portion of coffee we have found a fairly large range of quality within it. Let’s look at two distinct types of coffee that we see in most retail coffee beans in the USA (both being Arabica beans). These are both broad categories themselves, but one step at a time. “Commercial” coffee (commonly found in retail blends or mass produced products) is less concerned with the identity of a specific coffee and can range from completely tainted to mostly clean. Often it is sorted by the size of the bean or a “grade” so that buyers can make their selection. Commercial coffee tends to be harvested and produced in large quantity either from “cooperatives” or regional mills where farmers sell their cherries and let someone else take it from there, or as a typically large percentage of a farm’s average output. “Specialty” coffee (often considered the top 3-20% of all coffee grown, depending on who you ask) has made a mission of connecting to every aspect of the production from farm to cup in pursuit of a better standard in flavor quality. Specialty coffees tend to be produced in relatively smaller quantities or represented as a lower percentage of a large farm’s output. The Specialty Coffee Association of America, or SCAA, has been spearheading the movement to connect and build the specialty coffee industry for over 30 years. The biggest distinction between these two categories of coffee is a taste quality standard (used to define if a coffee is “specialty” or not) and because of that, specialty coffees almost always fetch a higher price as a raw product. There are many factors that go into the pricing of coffee, but this is one of the first and most important. Does it mean that a more expensive coffee will be better than a cheaper one? Unfortunately not always. The preference of taste in coffee is incredibly varying from person to person, and that alone shapes some of the demand on what sells. What can be said about specialty coffees is that they tend to be sweeter, higher in acidity, and lower in defects. The roasters who buy these coffees are more likely to roast it to a level that showcases some of the natural flavor in the bean as opposed to only giving a highly bitter roast flavor. On the converse side, many coffee drinkers find the increased acidity of specialty coffee to be sour and unpleasant if it is not balanced properly through roasting. 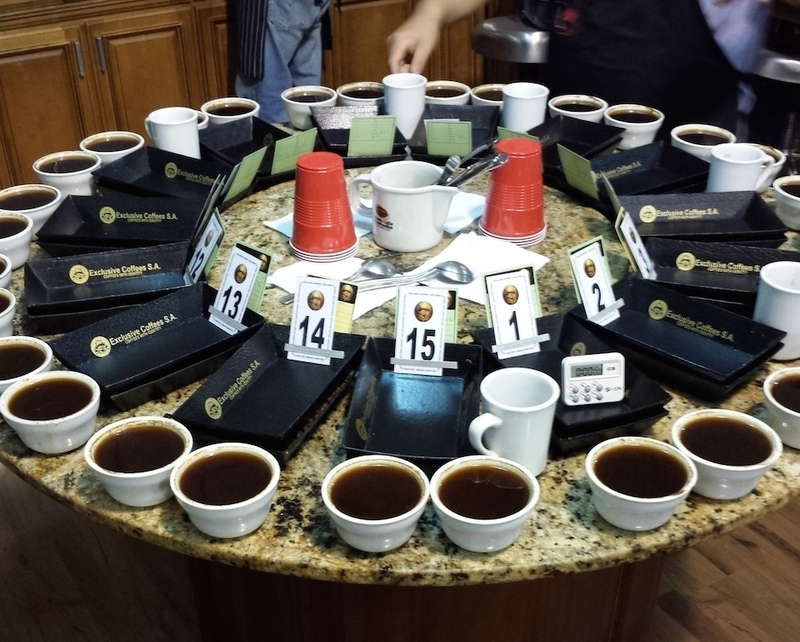 Roast Ratings is unbiased and gives every coffee equal attention in evaluations. Though we do not choose a “side” of commercial or specialty in what we do, the ideals and values of Specialty Coffee are what we support. It seems that the specialty coffee movement has been growing at a lightning fast pace. Everyone on the inside is always trying to push the boundaries of our knowledge, and that makes it an exciting time to work in coffee. The problem with this fast paced change is that the regular coffee drinker is not moving so quickly with the industry. This has led to confusion about our new methods and very different flavor experiences. Sometimes our (coffee pros) excitement to push the industry forward and showcase the most cutting edge ideas can come across as fanatical, and this fanaticism can be seen as either infectious or insidious depending on who is judging. Professionals might love bright and interesting coffees, but everyday drinkers might prefer something less interesting and more pleasing. Baristas and coffee geeks have hyper-focused on making coffee special, and this focus has brought improved standards and methods by which to measure what we do. The current trend is now focused on connecting with the everyday coffee drinker and I believe this will bring more specialty coffees with identity and balance to your coffee drinking lips. Perhaps it is the nature of what we do (drinking too much coffee) that makes us focus so much on changing the coffee world. At Roast Ratings we believe that coffee can be amazing, and it shouldn’t have to be a chore for you. We will drink too much coffee so you don’t have to, unless of course you are as addicted to caffeine as we are. We hope that you can find exactly the type of coffee you desire and that you can make an even better cup!